HAVE A STORY TO TELL? OR, EXPERTISE IN SOMETHING? 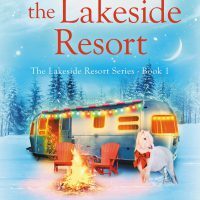 The Fishing Lesson When Natalie’s put in charge of shuttling her boyfriend’s truck and boat trailer twelve miles downriver to the take-out, she ends up lost in Fossil. And, for some reason, she doesn’t have cell service in the John Day River Canyon. This is a guide to keep you safely and confidently on the road with answers to all kinds of questions. Chapters on hitches, caravanning manners and keeping warm are factual, fun and above all helpful. 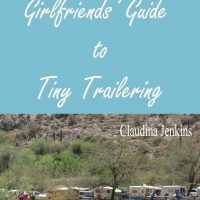 It is for newcomers to Tiny Trailering and reminders for experienced sisters, Many AZ sisters contributed to this compilation so a contribution to the Mazie Morrison Foundation is made on the sale of every book.